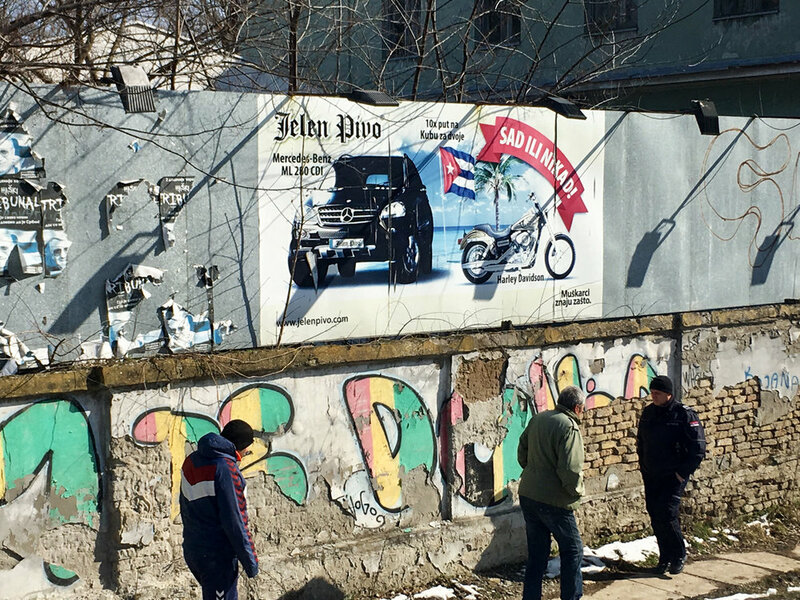 As entry to the United States has become increasingly difficult, some Cuban asylum seekers are now being drawn to Serbia. That evening, in November 2017, Jesse met with vegetable suppliers who provide food to refugee camps in Serbia; veteran aid workers who have worked with refugees and asylum seekers in different parts of the world; journalists who have been covering this issue for years; and a number of ordinary volunteers – both domestic and international – who have followed the Balkan route from Greece to Serbia. These were the people who could tell us about conditions in the camps, what the people in them needed, and where a certain person who had worked at such-and-such-a-place had ended up. But what they couldn’t tell us was where to find the Cubans who had arrived in Serbia. In January 2017, according to the International Organization for Migration, 168 Cuban asylum seekers were registered with reception centres across the country. Not all that many when compared to the almost 5,000 refugees and asylum seekers in Serbia at the time. But significant, if you take a look at a world map. As the crow flies, the distance between the two countries is more than 9,000 kilometres – a journey that would take about eleven hours, if there were a direct flight from Havana to Belgrade. So when we went to Serbia to write about refugees and migration in the Balkans, we figured that the story of these Cubans was worth a closer look. Except that, at first, we had trouble finding them. We learned that some had not journeyed as far as Belgrade, or had already crossed into the European Union. Others, still living in limbo in the refugee camps, didn’t want to talk to journalists. But then, we got to Lazarevac.